This question included a comment as an inline edit: "Thanks for all your input and discussion on the subject..."
We as a community tend to frown upon such behavior. 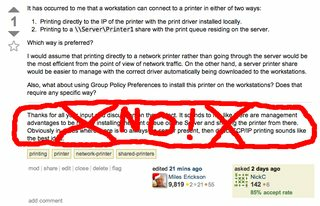 Flag the question for an actual moderator to convert the inline comment into a real comment. Nuke the inline comment and leave a comment explaining why it was deleted. IMHO comments like this one should not be part of the question. They're comments, and should be left as such. I say "Nuke with extreme prejudice!" 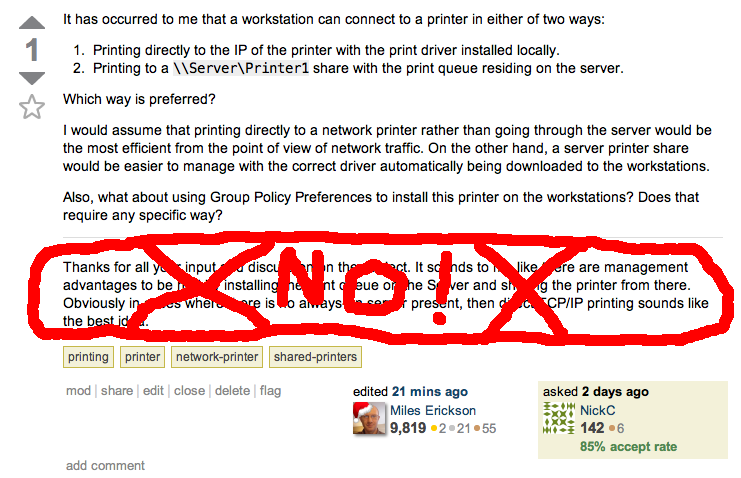 and optionally leave a polite note inviting the OP to re-post as a proper comment. Caveat: My hatred for commentary in questions, equalled only by my hatred for LiveJournal-style Edit # . . . notes, is trumped by my hatred for dragging ancient questions back to the front page. If we're talking about a question from 2009 it's probably better to leave it alone. Anyway to answer your question - burninate them. Not the answer you're looking for? Browse other questions tagged discussion specific-question comments .